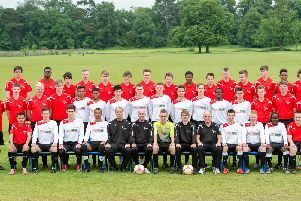 Tring Athletic’s pre season training for all teams began on Tuesday. Aylesbury FC have announced a sixth pre-season friendly as they continue preparations for the new Evo-Stik Southern League Division One Central season. 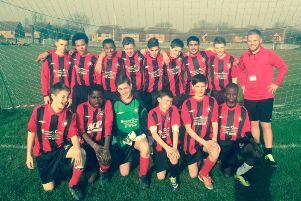 Mandeville School’s Year 8 boys football team have repeated history by making it through to the final of the Bucks Schools’ FA County Cup. 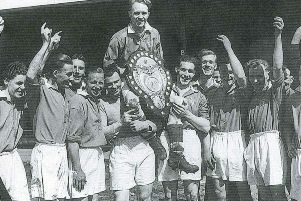 The shopping centre side are the first team from the town to win the competition since Stocklake, a previous incarnation of Southern League side Aylesbury FC, won it in 1995. 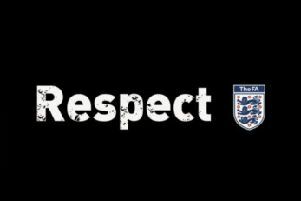 An Aylesbury football league has confirmed it could ban a player for life after an attempted assault on a referee on Sunday. 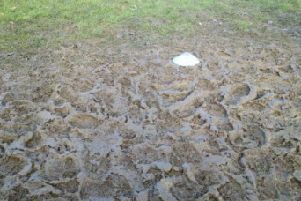 The ADL’s plans for the season took another hit as the rain yet again wiped out all but eight games at the weekend. Hale Leys United set up what promises to be a thrilling county cup semi-final clash with village side Oakley after four-goal Daniel Parsons inspired them to an 8-1 win over Bracknell Rovers. 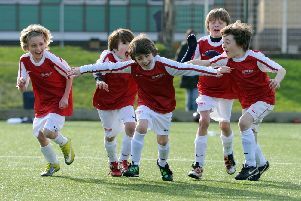 The February half term is nearly here and The Bucks Herald has teamed up with Arsenal Soccer Schools to offer readers five free places on their next course. 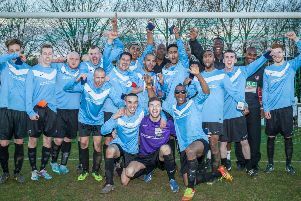 Sole survivors Hale Leys need fan power to make county cup semi-final. The local Berks and Bucks Intermediate Cup derby between Hale Leys United and Risborough Rangers will, weather permitting, be played at Fairford Leys on Saturday at 1.30pm after being rearranged. 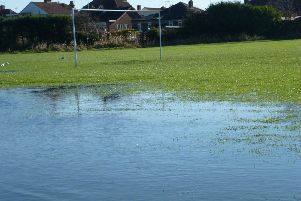 With the majority of matches played on council pitches, the ADL and Sunday Combination were hit hard by the weather at the weekend. 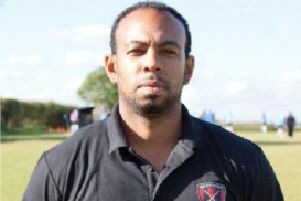 Hale Leys United boss Paul Alleyne has urged football fans in Aylesbury to turn out in force for his side’s crunch Berks and Bucks County Cup quarter-final derby against local rivals Risborough Rangers on Saturday. In line with The Bucks Herald’s campaign to Make Football More Affordable, an Aylesbury funeral directors has sponsored a local youth team and treated them to a brand new kit. 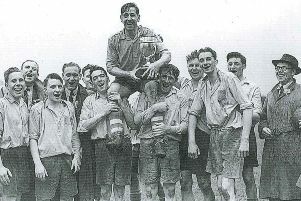 Mandeville School’s Under 18 football team is celebrating after winning a local derby against Aylesbury Grammar School to make the last 32 of the National Schools Cup. 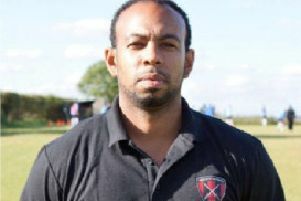 Hale Leys manager Paul Alleyne has urged his side not to get ahead of themselves despite their fine start to the season making them amongst this season’s title favourites. 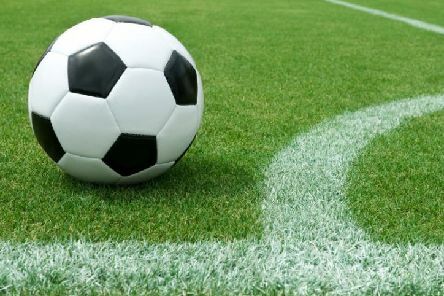 An e-petition championed by The Bucks Herald to call for more funding for grassroots football has gathered so much support the Government has been forced to respond. 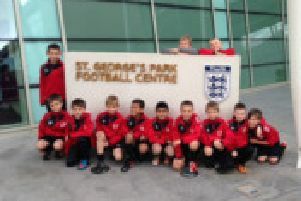 Bucks CC under 11s made the most of a week off from league fixtures with a day out at the England Football HQ, St Georges Park on Sunday. 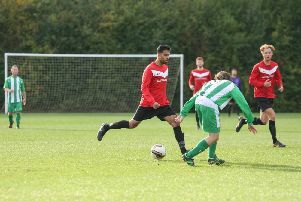 Hale Leys United kept pace with their title rivals Mursley after drawing a top of the table clash 1-1 at the weekend.